Home > Shop By Brand > RUPES Polishers FREE SHIPPING! 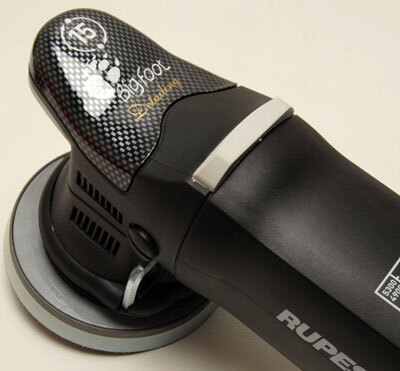 > Rupes BigFoot LHR15 MarkII Random Orbital Polisher - On Sale! The next evolution of the revolutionary Rupes BigFoot polishers! The Rupes BigFoot LHR15 MarkII has the same, extra-large 15 millimeter throw as the original LHR15, making correcting paint something you’ll want to do for hours. The smooth experience is what you’ve been waiting for. Improvements made to the body of the tool feature a stronger, reinforced housing. We’ve all dropped our machines a time or two (but never on the paint, right!?) and this new housing helps to protect the insides of our new machine. Also new on the Rupes BigFoot LHR15 MarkII are rubber inserts INSIDE the tool that improve the handling and provide a better level of comfortability while in use. The new rubber tool rest on top of the machine allows you to set the polisher down pad-up and not contaminate either your pad or the paint you’re working on. 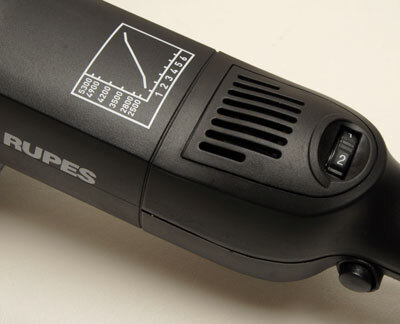 Now to the information we’ve been looking for: the new Rupes BigFoot LHR15 Mark11 motor specs. The LHR15 Mark11 does feature a higher starting RPM (2500 compared to the original LHR15’s 2000), giving it a little more power and torque to the buffing pad. The 500 watt power draw is the same, but the LHR15 MarkII feels a little more powerful. If you’ve been looking around and wanting to upgrade your current polisher collection, the new Rupes BigFoot LHR15 MarkII is just what you’ve been waiting for. 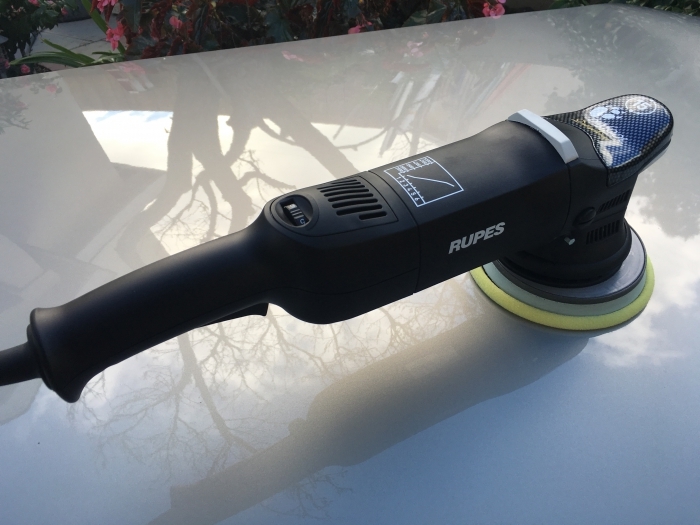 The Rupes BigFoot LHR15 MarkII includes a 5 inch backing plate. Rupes LHR 15 MarkII 6 Inch Pad Kit – FREE BONUS FREE SHIPPING! Rupes LHR15 MarkII Big Foot Perfetto Kit FREE SHIPPING! Rupes Big Foot MarkII Club Kit - FREE BONUS FREE SHIPPING! Rupes Big Foot Random Orbital Polishing SystemRUPES Polisher KitsMike Phillips’ How to Use The RUPES Bigfoot Paint Polishing System Rupes Foam PadsRupes Microfiber PadsRUPES Wool Polishing PadsRUPES Mille Foam PadsRUPES Rotary Foam PadsRupes UHS Easy Gloss SystemRUPES BigFoot LK 900E Mille Gear Driven PolisherRUPES BigFoot LHR 19E Rotary Polisher Now in Stock & Ready to Ship!RUPES BigFoot LHR15 Mark III Random Orbital PolisherRUPES BigFoot LHR21 MARK III Random OrbitalRupes BigFoot LHR21 MarkII Random Orbital Polisher - On Sale!Rupes LHR 15ES Big Foot Random Orbital Polisher FREE SHIPPING!Rupes LHR 21ES Big Foot Random Orbital PolisherRupes LHR 75E Mini Random Orbital Polisher FREE SHIPPING!Rupes LHR 12E Duetto Random Orbital Polisher FREE SHIPPING!Rupes Bigfoot Nano iBrid Short Neck Kit FREE SHIPPING!Rupes Bigfoot Nano iBrid Long Neck Kit FREE SHIPPING! Upgraded from a 15ES model to the MarkII. Ive always been 50-50 between the Rupes and the Flex but there are too many forums regarding this matter and realistically its to each his own. Ive enjoyed the Rupes polshing system ! This is upgrading from a Harbors Freight model which ive used for years and achieved good results but upgrading to this machine was worth it! Its expensive but if your charging average rates for paint correction it pays itself within 1-2 cars. Very smooth, Glides over paint, Ergonomics and functionality are great, Quiet, Minimal Vibration, This polisher when used with meguiars cutting microfiber pads with rupes yellow foam polishing pads makes a great level 2 paint correction on any car! Over-all very pleased with this machine! I purchased this and I am glad I did. It's such a smooth running machine with little to no vibration. The ergonomics are great. Power is great. It's just a great machine.